Whispering Pines Ebony is a lovely daughter of our Reba and Sir Benedict (Both Retired). 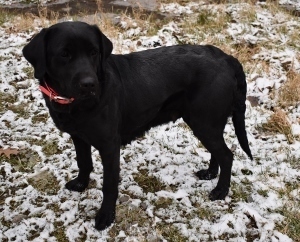 Ebony has the "lightswitch" Personality we work hard to produce as she loves to Retrieve and can turn it off and lay quietly by your side. Ebony is 21" tall and weighs 60#. 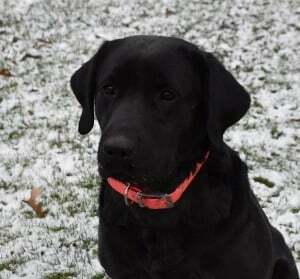 Her full sister is Cassi, pictured below. Activity Score 5-6. Cassi is our other Reba & Sir Ben daughter. 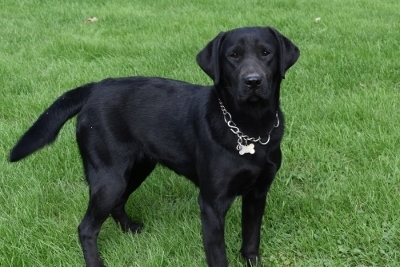 She is very much like her Mom and is a Good Natured girl, calm and quiet,..until you pick up something for her to retrieve. Cassi is eager to please which makes her easy to work with. 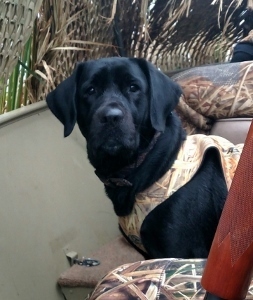 She is an excellent swimmer, hunter and loves to retrieve besides being a great family member. Cassi has a Beautiful Structure with a Blocky Style Head and Deep Chest. Cassi stands 24" tall at the shoulder and weighs 70 lbs. Activity Score 6. Cricket is one of our smaller girls. She weighs 55# and is 19” tall at the shoulder. Folks comment on Cricket's Dark Eyes and Expressive/ Intelligent look. Cricket very much has a light switch personality as she is a ‘want to be by your side, please pet me’ dog until you give her something to retrieve, then she is all business. Activity Score 5-6. 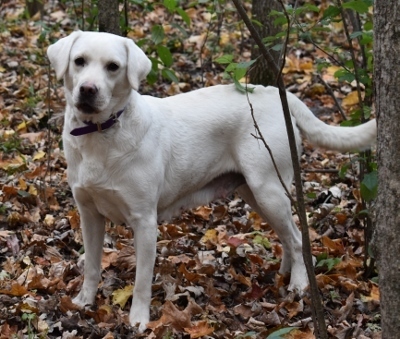 Echo, the daughter of our Camo Cassi and Sir Birch combines the Retrieving Drive of her mom and Sweet Soft Nature of her dad. Echo is 22" tall and weighs 60#. Activity Score 5-6. 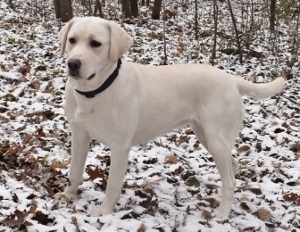 Aspen is another daughter of Heidi and Sir Ben. Aspen is an Explosive Retriever...the Quicker the better. When we put her fetch ball away she sits by our side with some part of her body touching ours. 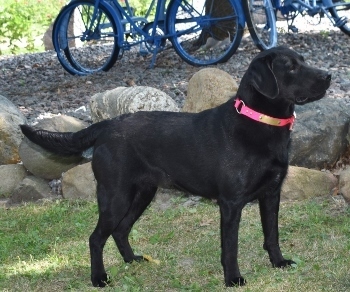 Julia has a short Sleek Sugar Cookie colored coat with very nice Dark Pigmented eyes and mouth. 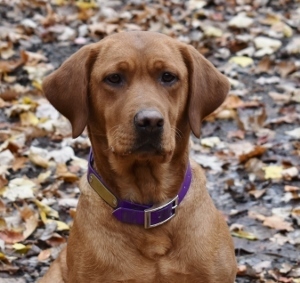 Julia is a sharp looking, extremely friendly dog, a great retriever and running partner. Her favorite is taking a nap by your side after a nice game of fetch. Activity Score 6-7. 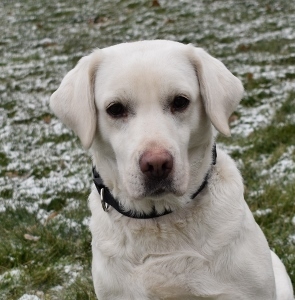 Gaia (Happy in Italian) is a very gentle spirited, laid back girl. The only time she gets excited is when we play fetch with her as she loves retrieving the tennis ball. Gaia is 23" tall at the shoulder and weighs 65 pounds. Her Activity Score is 4. Grace is a daughter of our Ebony x Birch. 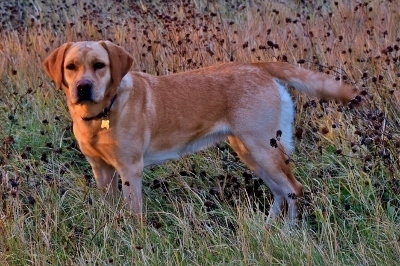 Grace's pedigree goes back to our original Labrador. 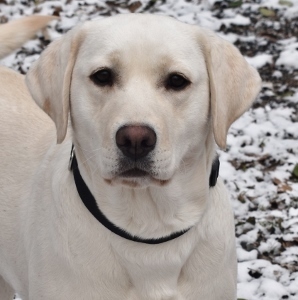 Folks visiting our kennel often comment on her sleek white coat, attentive look and kind demeanor. Grace has very strong retrieving drive. She weighs 60 pounds and her Activity Score is 6. Charity is the daughter of our Ella and Cedar. Charity is a blocky, heavy boned, deep bodied girl. She is our blockiest female. Charity weighs 80 lbs and is 22 " tall at the shoulder. Charity is a gentle, quiet dog. She is a great retriever. Activity Score 6. 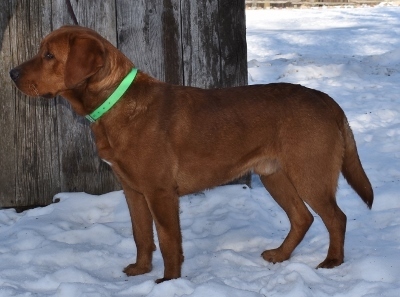 Annie is the 3rd generation of her genetic line of Fox Red Labs at Whispering Pines. 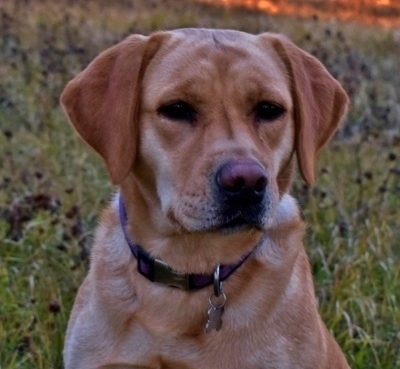 She has the Confident, Happy, Loving, Retrieving Personality that we strive for. 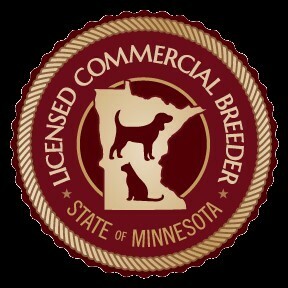 Annie is a good sized, heavy boned Dark Fox Red with Dark Skinned Pigment. She weighs 75# and is 22” tall at the shoulder. She reminds us so much of her mom Charity pictured below. Activity Score of 6. 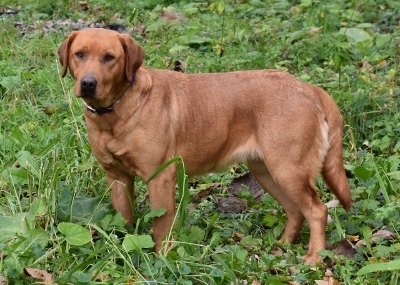 Clover is our Sir Regal's full, but one year younger Fox Red sister. We especially like her Alert, Inquisitive Expression. 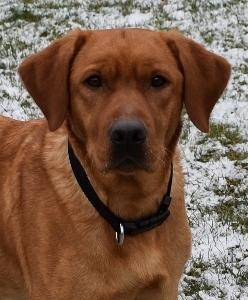 Clover is a great retriever with an Active Friendly Loving Temperament. Activity Score 6-7. 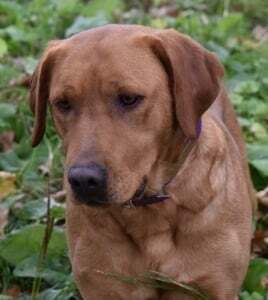 Hope is a Sweet, Soft natured, fairly active girl with great retrieving drive and an excellent nose . 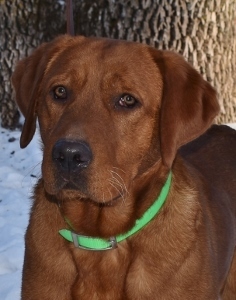 Hope has a dark Fox Red, Short, Sleek coat and a pretty feminine look. Hope is 21” tall at the shoulder and weighs 65 pounds. Activity Score 6-7. 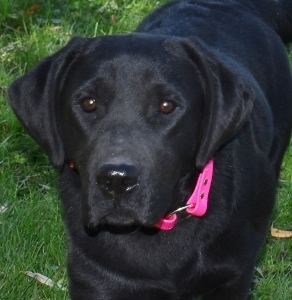 Jewel is a Sweet Natured girl that equally loves to retrieve or quietly be at your side. Her favorite place to be is laying beside us while we are at our office desk. Jewel has a beautiful Short Fox Red coat. She has the lightswitch personality we strive to produce. She has a nice stocky English build, is 21" tall and weighs 60#. Activity Score 5. 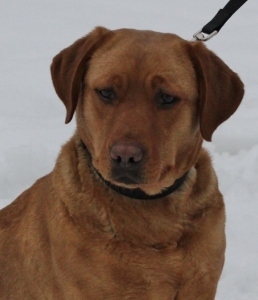 Jewel is another 3rd generation Whispering Pines dog. A daughter of our Brooke X Rusty - both retired. Skye is Jewel's little sister. 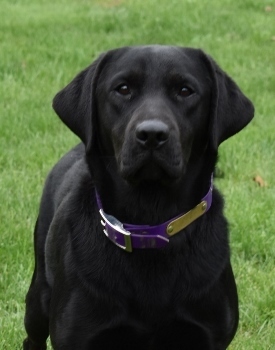 Like her sister Jewel, Skye is a fun loving girl but with more retrieving drive. She is also very sure she should be right next to you whenever you are looking for a dog to be petted. Skye has the Beautiful, Short Fox Red coat and the lightswitch personality we strive to produce. 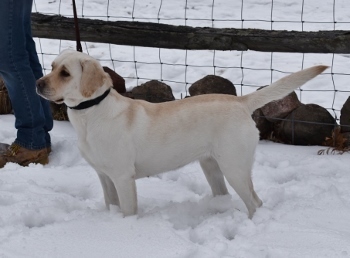 (Skye is a Brooke X Rusty daughter) Skye is 20" tall and weighs 55-60#. Activity Score 6. 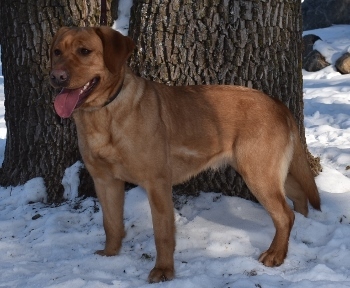 Oakley is a Fun-Loving Active retriever. She lives with friends that have a young family of four. Oakley enjoys "chilling" snuggle time with their children. 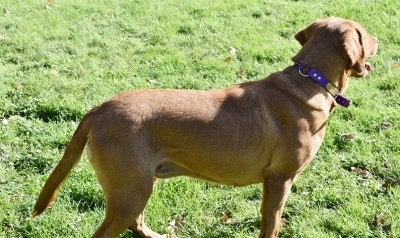 Oakley has a proportionate, Beautiful English build . She is 21" tall and weighs 60#. Activity Score 6-7. Emma is an American type girl with a Sweet, Gentle, Quiet personality. Emma has an especially silky coat. Her favorite spot is to be lying on the floor at your side. Emma is 21” tall and weighs 60#. Her activity score is 5-6. 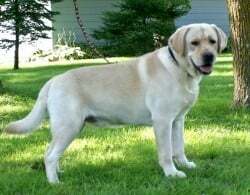 Sir Birch inherited his easy quiet demeanor from his grandpa, our Sir Chester. 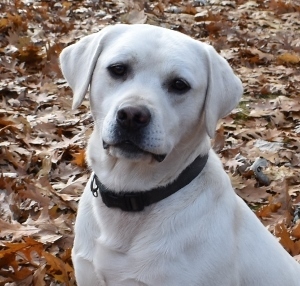 Birch is an appropriate name for this good looking boy as we really appreciate his white coat, Very Dark Pigment along with his Kindred, Fun-Loving personality. 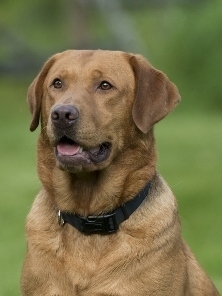 He is a good retriever and very attractive boy. Birch is an average sized male as he is 22” tall at his shoulder and weighs 75 lbs. Activity Score 5. 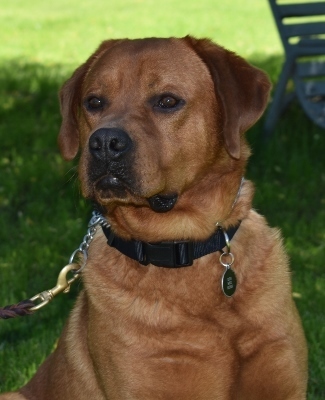 Sir Chester is an Eye-Appealing Male with a Wonderfully Gentle Temperament. 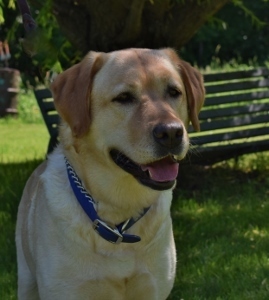 He is quiet, laid back and has a light soft yellow coat with a blocky build and the beautifully proportioned head we like. Sonny’s name is an accurate description of his (Sunny) personality. 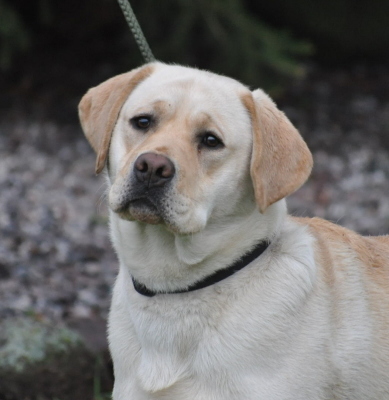 Sonny has a very light ivory coat and dark pigment along with a beautiful expression. He is a nice combination of his parents. Sonny’s dad was imported into the USA from the Ukraine. His mom’s pedigree is from English lines. Sonny, like his parents is a great retriever. Sonny weighs 80 lbs and has an Activity Score of 7. Sir Griffon “Griff” is a blocky built, very dark Fox Red son of our Sir Regal and Lady Maple. Griffon has an extreme Light Switch personality. He leans into us with his tail a-thumping when being petted but when we pick up his favorite fetch toy he is all business. Such fun to watch. Griffon is a Great Retriever. Griffon is a 3rd generation Whispering Pines dog. He weighs 80# and is 21" tall at his shoulder. Activity Score 6. 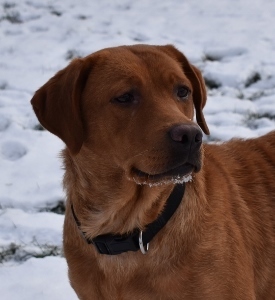 Dawson is a very Dark Red correctly built English type boy. 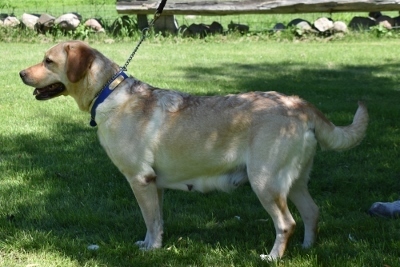 Dawson is a Heavy Boned dog which gives him his bold look. He is gentle, yet fun-loving personality makes him enjoyable to spend time with. Dawson is 21” tall and weighs 80#. His Activity Score is a 6.